Boxes – . A Cloud Sharing World is Coming!
. A Cloud Sharing World is Coming! CloudSharingBox.com – minimize shipping cost by maximizing goods acquired – enjoy our YouTube box demonstration! ﻿ Cloud Sharing works best for everyone when the maximum number of items are shared. 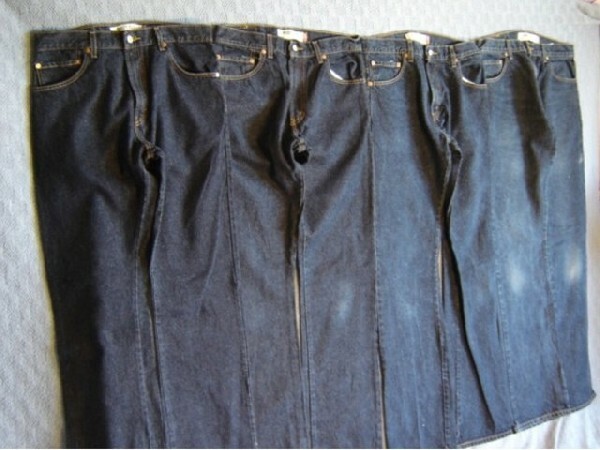 ~ see JeanBank.com for new, pre-owned, classic and vintage clothing items boxed and appraised for the Cloud Sharing Family! $ 36 . Consignment – like Snooty Fox – 50% of $18 selling price – $36 for all 4pr. $ 24 . Reseller – like Plato’s Closet – 33% of $18 selling price – $24 for all 4pr. $ 11 . ThredUp.com – 15% of $18 if they accepted them – they don’t – $11 for all 4pr. During the last 6 years $500M has been invested in this rapidly growing secondary clothing market including a $131M investment ($81M from Goldman-Sachs 9/15) in ThredUp.com. JeanBank.com is far superior. 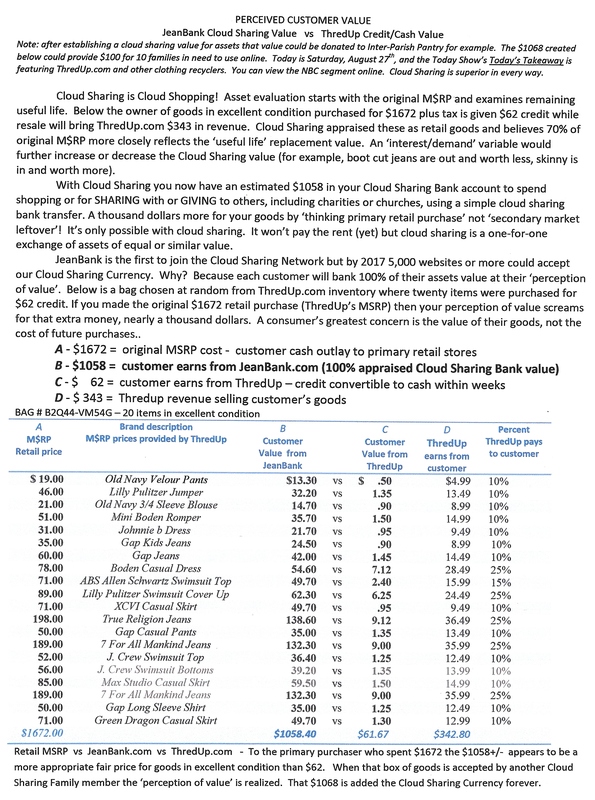 JeanBank Cloud Sharing offers 100% of sub-primary retail value ($160 in bank) vs Thredup 15% of secondary value ($11 cash) for 4 pair of Levi jeans with a MSRP of $238.